Creating QR Codes that link to your Twitter profile is effective way to interact with socially engaged people and let them follow you on Twitter. 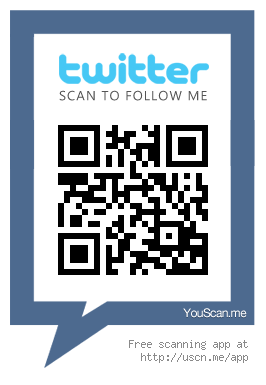 People just have to scan your code and follow your tweets. You can constantly update them with your latest ideas, information or any kind of content you like. You probably remember how Tesco deployed virtual store display in Korean subways which lets you shop products by scanning QR codes. Now the Germans are adopting this approach and the drugstore Budnikowsky put posters shops at eleven busy railway stations around the country. 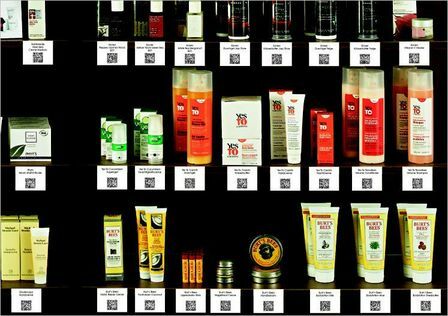 They are made of images just like the Tesco’s ones and are selling products of Aliqua brand of natural cosmetics with the QR Codes resolving to the specific items. Watch video after the jump. 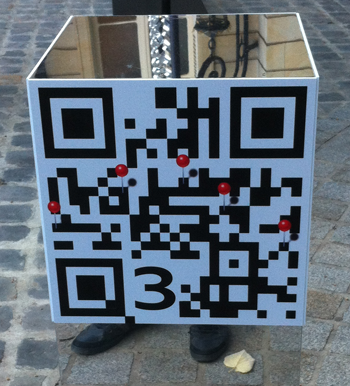 Yesterday I talked about how much QR codes have penetrated in French capital Paris. 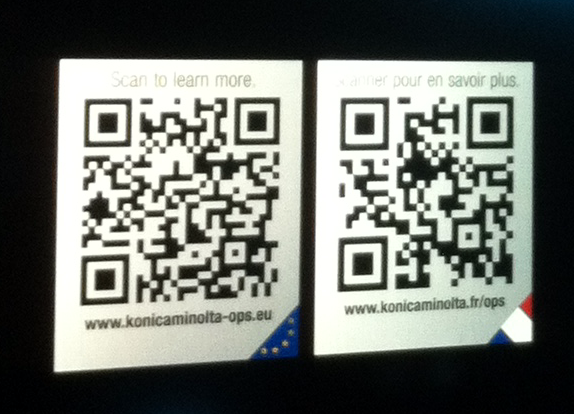 Now I will continue this topic with a QR code use by hotel. 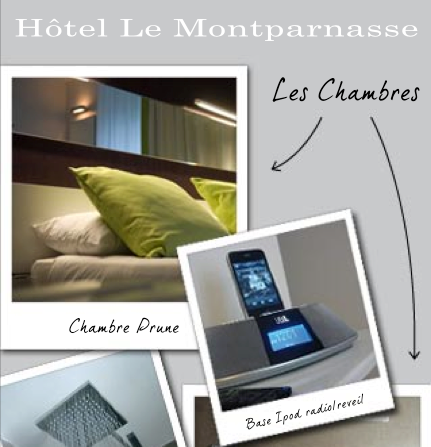 I stayed in BEST WESTERN Hotel Le Montparnasse and they are using QR code to present room amenities in the hotel. It was printed on the brochure with card dock locks they gave me and when scanned it leads to PDF describing hotel facilites. Check out how it look like and scan it after the jump. Here is very smart idea – QR codes that launch Spotify playlists on your mobile phone. It is basic a series of greetings cards that when scanned with a QR code reader direct people to themed playlists within their Spotify Premium smart phone app. What’s The Business Value of QR Codes? 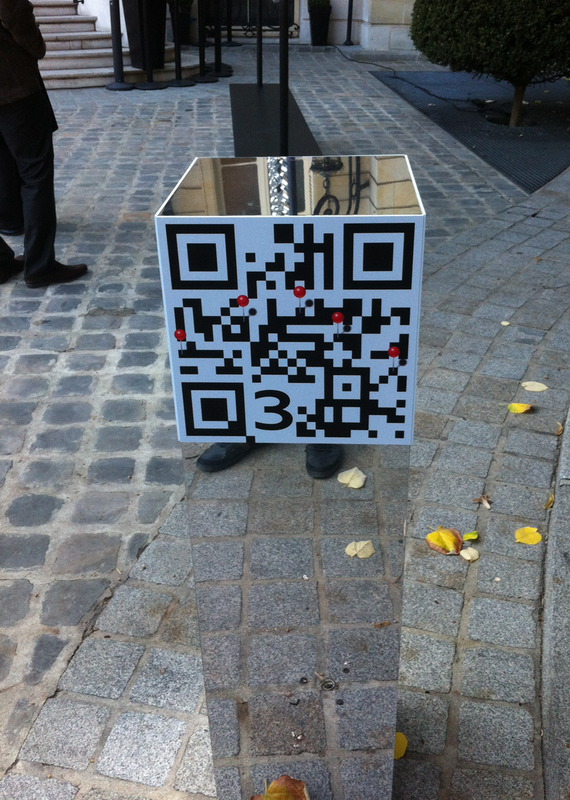 Yesterday we read interesting article by Magdalena Georgieva which topic is about the business value of QR codes. 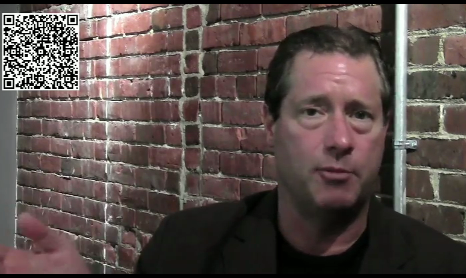 Questions like what exactly is the business value of QR codes or what ways can QR codes impact your business are asked and they have a video episode of the Weekly Marketing Cast which explains it in short. And that is innovative approach! We show you how QR codes can be used in almost any offline object and now we are excited about Qkies – German company which combines QR codes and cookie mix to create yummy edible personalized messages.